I would also read Singleton’s separate volume of Commentary, and the notes in the other translations. Singleton replicated many of Vernon’s notes and added to them. The Hollander notes were especially helpful because they occasionally added to Singleton’s or contradicted Vernon’s in interesting ways. I would also read a number of critical texts and sometimes go to the online Dante Encyclopedia to read more about the various characters mentioned in the text. ECB: Before translating a text, we make certain decisions in terms of what should have priority. What was your absolute priority in translating this text? MJB: I had two priorities: one was to put the original Italian into a form of English that adhered to the rules of spoken English. Some previous translators have, out of loyalty to the original, chosen to maintain Dante’s word order, even when it doesn’t conform to the conventions of English grammar. I didn’t want a reader to be confounded by odd constructions or have to stop to unpack syntactical inversions. I’ve always found those interruptions distancing. They not only call attention to the fact that the original wasn’t written in English but they also feel, at least to me, like unnecessary “make-work” just when you want to go forward. Dante brilliantly built the poem on the foundation of narrative suspense. He invites the reader to descend with him, step by step, into an unknown world and to discover what’s there at the very same time that he discovers it. I feel part of the challenge of translating the Inferno is to find a way to maintain that original fluidity so that the question And then what happened? doesn’t get obstructed by the manner in which the original text is carried over into a second language. I wanted Dante’s Hell to do the same allegorical work that it did for its first readers, to be a cautionary tale that speaks about our hypocrisy, our deception, our greed. My other priority was to avoid archaic phrasing and an overall elevated tone. I hoped by using contemporary colloquial English, Dante’s poem, and Dante’s Hell might feel of this moment and not a quaint literary artifact of a now somewhat alien medieval past. I wanted Dante’s Hell to do the same allegorical work that it did for its first readers, to be a cautionary tale that speaks about our hypocrisy, our deception, our greed. ECB: In all translations, there is something gained, something lost, something retained. What, in this case, were each of these things for you (on the scope of the book as a whole)? MJB: I think what is gained in this new translation is this sense of contemporaneity. The cost of achieving that was that I had to sacrifice, here and there, a strict allegiance to the original. If a reader is already familiar with the original, he or she might be just as distracted by the liberties I’ve chosen to take as I’m distracted by earlier translators’ refusal to take liberties. That said, I worked very hard to adhere to the narrative arc of the poem and to remain faithful within each tercet to what is in the original. ECB: If you could pick a poet to guide your steps, both in terms of life companion and in terms of poetic guidance, who would it/they be? Who would your Virgil be? MJB: I wouldn’t want a single poet to guide me. I like being guided by a chorus of poets, each with a strong individual voice. I take permission from the fact that each of those poets devised his or her own way of making a poem. I want to exercise my independence, as much as one can, from those who came before me, as well as from those who are working alongside me. I suppose you could say I’m guided by every poet, every author, I’ve ever read. One poet might guide me toward something, another might guide me away. ECB: Did you feel any kind of pressure tackling a project such as the Inferno? MJB: But of course, there was tremendous pressure. Many extraordinarily intelligent and very erudite men—and two women, Jean Hollander in collaboration with her husband Robert Hollander, and Dorothy L. Sayers—have translated the poem; it was nervous-making to place myself in that company. On the other hand, the existence of all those previous excellent translations meant I could do no lasting damage to Dante’s poem. Since the truth of the poem is well established, I felt free to translate it in a slightly new way. As I wrote in my introduction to the volume, I hope my translation will make the poem more approachable to readers who might be reluctant to read a less colloquial version. And I hope that after reading my translation, they’ll seek out others. On the other hand, the existence of all those previous excellent translations meant I could do no lasting damage to Dante’s poem. ECB: Do you think the journey of poetry is a divine one? MJB: No, I don’t find the potential for divinity in poetry. I think poetry is a form of play, the way the game of solitaire is a form of play. The difference between poetry and solitaire is that with poetry you play with language and that allows you to encode in the language, and sometimes in the formal arrangement of the words on the page, any number of things you want a reader to know: autobiographic fact, your philosophy of life, your political ideas, your ideas about poetry, your ideas about the poetic past, your ideas about the nature of language itself. Poetry is rich with possibilities. You could, of course, encode in it your ideas about a deity and communicate that to a reader but that’s not the same as having divinity inherent in the genre. ECB: What sin in poetry do you labor to free yourself from? MJB: I don’t embrace the notion of sin but if by sin you mean flaw, I’d have to say that what we might think of as a poet’s flaw during his or her lifetime, often becomes the very thing we value about the poetry once the poet is no longer there to annoy us by breaking the so-called rules. Hopkins’s insistent alliteration was seen as a flaw by some of his contemporaries, and by others who followed him; today it defines the extreme music we associate with him, and many of us admire and enjoy that music. The same can be said of Dickinson’s dash. I don’t know what my flaws are but whatever they are, I think they are better left as they are. 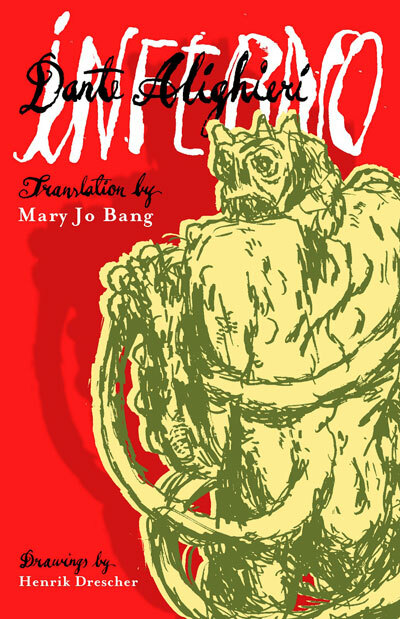 ECB: It strikes me that your version of the Inferno is not only a contemporary take on this classic poem, but it is a quintessentially contemporary American take on this classic—supplanting the contemporary American experience to that of Dante’s during his time. Something seems to fascinate you about our time and place. What is it about our culture today that you think is worth preserving by weaving it into the Inferno? What is your relationship to our present? My relationship to the present is that I live in it and am aware of it. My hope is that by incorporating cultural references from the current era, I’ll effectively collapse the seven hundred years between Dante’s moment and the moment in which this translation was done. This is my way of insisting that Dante’s Inferno is as relevant today as it was when it was first published. Superman, the Lone Ranger, and Dr. Jekyll and Mr. Hyde are definitive figures of American cultural history of the second half of the 20th century and the beginning of the 21st. I’m not necessarily arguing that these particular figures are worth preserving; they are included because they are elements of a shared American consciousness. As is Bob Dylan, the Rolling Stones and the Beatles. As is Nietzsche, Eliot, and Stephen Colbert. The references constitute a map of my consciousness. I have a reasonable expectation that the map of my consciousness is mirrored in the cultural consciousness of many readers. I’ve tried to merge that contemporary consciousness with Dante’s. I think poetry is a form of play, the way the game of solitaire is a form of play. ECB: I liked the liberties you took with this. There is no truer way to process a text than to translate it. It’s the most intimate experience. What were some things you realized about the Inferno as a translator that you might not have noticed previously as a mere reader? Were you always attached to this text? Are you more or less attached now? Are you tired of it or feel even more connected? MJB: I very much admired the poem before I began the translation. You could say I looked on it with something like intellectual awe. I’ve grown even more appreciative of its intricacies. I understand now how carefully constructed it is, how rich in nuance it is, how funny it is, how well-defined the characters are, how indebted it is to its historical moment and yet how timeless it is. I’m not in the least tired of it. I suspect I never will be. ECB: Your translation of the Inferno is unarguably now. If there are skeptics out there (of the choices that were made in this translation) what would you like to tell them? MJB: I would tell them to read, if they haven’t already, the William Vernon translation and then to read the Robert and Jean Hollander translation and then to read the Pinsky translation and then to read the Ciaran Carson translation and then to read the Mark Musa translation and then to read the Allen Mandelbaum translation. And then the Singleton and then the Sinclair. And then the Longfellow. And then the Cary, then the Norton, then the Palma. And then the Kirkpatrick, and then the Wesley, then the Durling and Martinez, then the Carlyle and Wicksteed. Then the Binyon, then the Sayers, then the Sisson, then the Esolen. Then the hard-to-find Louis How. But not necessarily in that order. That should keep them busy for a while. And hopefully happy. ECB: You researched many versions of the Inferno before and while translating this. Did you have favorites? And why were they your favorites? MJB: The William Vernon is my favorite because I love knowing about all the various ways the text has been parsed, or had been up until 1906 when he published his 2nd edition. And I love knowing that the meaning of many of the words and phrases have been in contention throughout time. ECB: I found Canto VI especially chilling and beautiful—I might even say sublime in its rendition. Do you have a favorite Canto? Which is it and why is it your favorite? MJB: I’m attached to all the cantos but I am especially fond of Canto III. I think Dante the poet exquisitely captures the shock that Dante the character experiences when he enters the vestibule of Hell. And I love the way that canto sets up everything that follows from it. ECB: It strikes me that aside from being a mere translation, you have provided, with the notes, a small history of your interaction with and reasoning on this text. The notes, just like in The Waste Land, entertained me just as much as the text did. Was this intentional? Or were you just concerned with providing grounds for your decisions and this was a natural consequence? MJB: I wanted the notes to be of interest to the reader, and, yes, to entertain. I also wanted them to reveal aspects of translation itself, to gesture to the myriad considerations involved when one tries to find the equivalent of a word, or phrase, or concept, in another language, especially when you are trying to bring a work forward from one historical moment into a radically different one. ECB: Has this translation affected your poetry? The way you live? Have you gained insight into some poets who, they too, have translated it, like Longfellow or Pinsky? MJB: I don’t think translating the poem has affected the way I live, nor do I think it has given me insight into the personalities of other translators, but I wouldn’t be surprised to later discover it has affected my poetry. The brain is plastic and I’ve spent years immersed in this poem. I would think that experience has to have some effect on the hardwiring inside the braincase. ECB: What were some things you kept by your side during your work on this? MJB: I kept several thesauruses handy, several English dictionaries, several Italian dictionaries, countless translations of the Inferno and several volumes of commentary. On my computer, I kept bookmarked links to Google Books, to the William Vernon volumes, and to any number of online Dante resources. I also kept eye drops. When we stare at a computer screen, we blink far less than normal. I often stared at my screen for fifteen-hour days, seven days a week. That takes a toll. ECB: Does translation feed or exhaust you? What about this particular one? MJB: I find translation, and especially this translation, intensely intellectually exciting. Translating this poem was like doing an almost endless crossword puzzle of exactly the right level of difficulty. It was demanding, but not impossible. Once I decided to single-mindedly devote myself to it for a number of years, it became a rare, intense, and slightly terrifying kind of fun—a bit like being on a roller coaster just as it drops from the high point. ECB: Any words of advice for young translators? Would you consider teaching a course on translation? MJB: I would never presume to give advice about translation, nor would I ever presume to teach a class on it. What I brought to this poem, and what guided my translation of it, was a knowledge of poetry acquired through both the study and practice of it. I do give young poets advice about poetry, and I do teach classes on it. ECB: You reached out to many different versions of the Inferno to help guide your work. Would you say translation is collaborative? Or does it remain solitary nonetheless? MJB: I think translation is definitely a collaborative process. Even if the author of the work is deceased, the translator is continually conjuring him or her up in order to ask why he or she made these aesthetic choices. And of course, as you’ve suggested, all the other translators of this work are collaborators. They offer suggestions and you decide whether or not you feel what’s being suggested is the best solution. And if it’s not, what would be better? What would be more accurate, or more musical, or, if fun is indicated at that moment, more fun, or if horror is indicated, more horrific. And then you have to defend your choice to everyone involved. It’s as if we’re all in the same room, the living and the dead, working at the same task, trying to make this poem read like it once did, but now in English and with today’s reader in mind. ECB: Could you ask yourself a question you would like to answer and answer it for us? Q: Will you go on now and translate the other two books, Purgatorio and Paradiso. [i] This same answer, with minor revisions, was published in “Interview with Mary Jo Bang by Lauren Slaughter” in poemmemoirstory 11 (2011): 6–8.